Seniors are living longer and healthier, and are on the move and on the road. As experienced as most older drivers are behind the wheel though, everyone-regardless of age-could use a few safe driving tips now and again. If you find it hard to see while driving at night, avoid it if possible. If it's not feasible, then before driving give your eyes time to adjust to the darkness and try to plan your route so you're driving on well-lit roads. Also, make sure your side-view mirrors are adjusted to minimize not only your vehicle's blind spots but also the glare that comes from the headlights of the vehicle behind you. Don't forget too, to use the "night" setting on your rear-view mirror. For oncoming traffic, minimize the glare of the headlights by looking slightly to the right side of the road until the vehicle passes you. Often, people find as they get older their bodies become less flexible making it harder to check over your shoulder. Regular flexibility exercises such as yoga and routine stretching can help keep you agile, allowing you to move more freely and drive defensively. Wherever possible, park your car so that you don't have to back out of the spot when you want to leave. Park it so that you can easily exit by driving forward. Traffic, no matter where you live, is getting busier and heavier. There are more cars on the road than ever before. Pre-plan your trip so you know how you're going to get to where you want to go, avoid high-peak traffic times and driving in bad weather, always remember to signal, and check your mirrors often. And lastly, always look twice, before turning or entering an intersection. When driving, stay focused on the task at hand; don't let your passengers, the radio, or your phone take your attention away from the road. Avoid eating behind the wheel as it can also lead to driver distraction. Additionally, some medications can affect how you drive-look over your prescriptions and talk to your doctor or pharmacist before getting behind the wheel. If heading out for a longer than normal drive, try to leave mid-morning when you're well rested and alert, take frequent driving rest stops and share the driving duties with your passengers. Did you know that every October 1 is National Seniors Day in Canada? 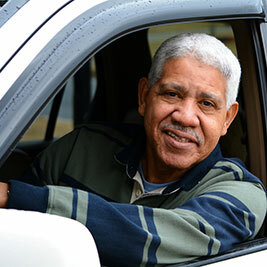 Celebrate all of your years of driving experience with a lower car insurance rate. Compare car insurance quotes today for a better price.